Under Armour is pretty much synonymous with everything now ‘days. They make Tactical gear, shoes, t-shirts, workout gear, and now cases. Their cases have been around for a little while now but this is the first time that I’ve ever had the opportunity to review one. I am definitely a fan of their products and I have spent quite a few dollars over the past years buying Under Armour t-shirts (at the outlet store of course). However, I don’t think you’ll find this case on the clearance rack anytime soon. Although it is a little pricier than most cases I typically look at, it has the super-cool UA Connect apparatus that works with it as well, and tons of protection which helps to justify the higher price tag. The Look: The Under Armour Protect Verge case UA’s solution to the clear case, with a twist of athleticism – it’s definitely a very sporty and athletic looking case. 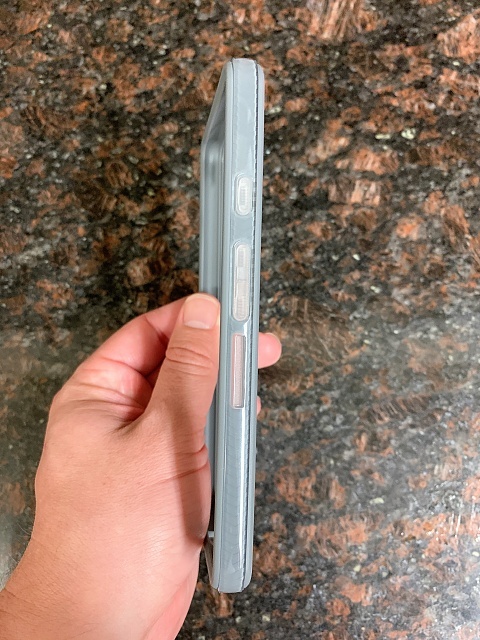 Although the back of the phone is a clear polycarbonate material, the bumpers are a very grippy, rubberized TPU material that has grip for days. It only comes in one color, which isn’t much of a color name. It’s Clear/Graphite/Gunmetal – which pretty much sums it up. 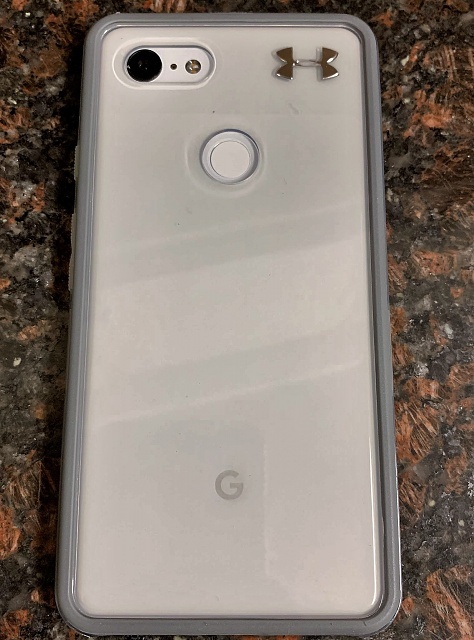 The back of the phone is clear, as I mentioned, but the bumpers are made from the Graphite and Gunmetal color, which are showcased around the edges of the case. 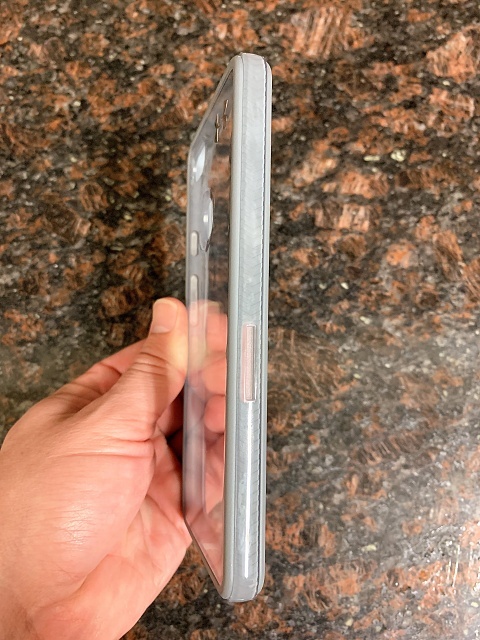 The bumpers are especially cool because they have a clear TPU material molded onto the side, which shows off the designed underneath. There’s even a nifty Under Armour logo in the top-right corner of the case. The Feel: Like I said in the intro, the Protect Verge case is very grippy! Not only are the rubberized sides solid and grippy, but the back plastic piece is also much more grippy than standard plastic backed cases. I’m not sure what kind of resin or coating that they used to pull this off, but if you try to slide your fingers across it with any pressure at all, it’s like trying to move your brand new sneakers across a basketball court – grippy, and sticky. The case has a great feel to it and it’s very minimalistic. It does make the phone feel slightly more boxy than it otherwise would without the case on it, but it’s not bad, especially when you factor in the 8ft of drop protection. Additionally, wireless charging is still functional with this case installed. Security: The Protect Verge case is made from three different layers of material, comprised of TPU and Polycarbonate – this is what gives it such good drop protection. Even though the case seems small-ish, it feels every bit like it’s made from premium materials. You definitely don’t have to worry about dropping your phone when it’s in this case. 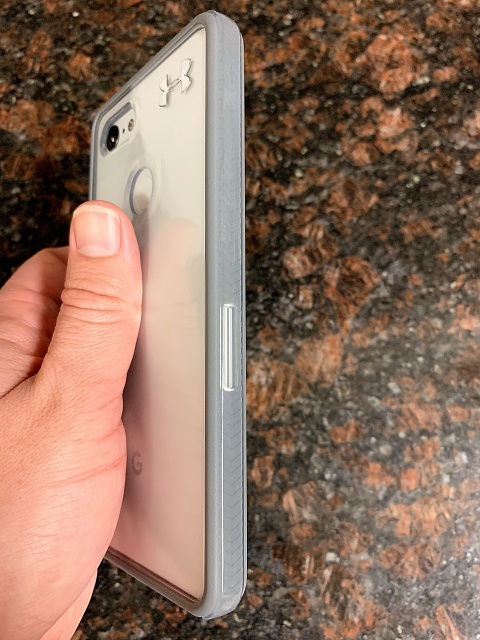 The Protect Verge has a whopping 8ft of drop protection in a very minimal form factor, which is definitely welcomed – compliments of the reinforced bumper material. Protective-style cases are great, but the usual bulkiness that comes along with them is typically a drawback. Well, with this case you can have your cake and eat it too! Additionally, your camera and flash are recessed on the back, which helps to keep them free from surface contact and possible abrasions. 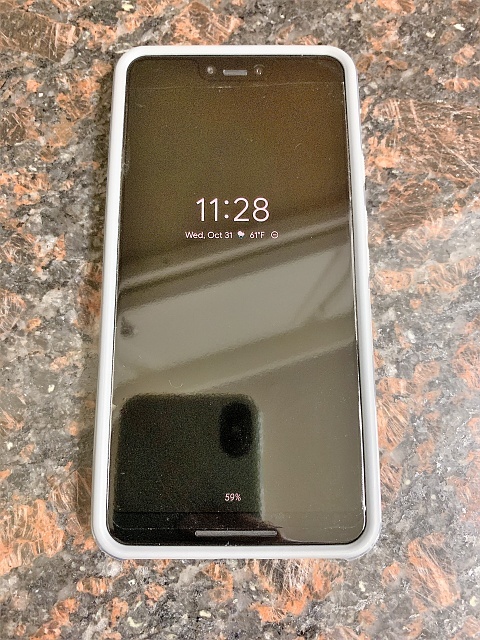 Lastly, as is par for the course now’days, the edges of the front of the case, creating an additional security blanket for your screen in the event that you decide you want to place it face-down on a flat surface. 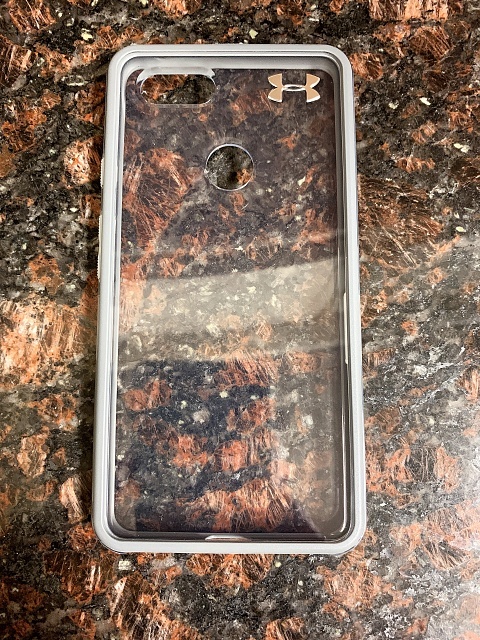 UA Connect: I was not able to get my hands on any UA Connect system components to test out with this case, but I wanted to go ahead and mention it. 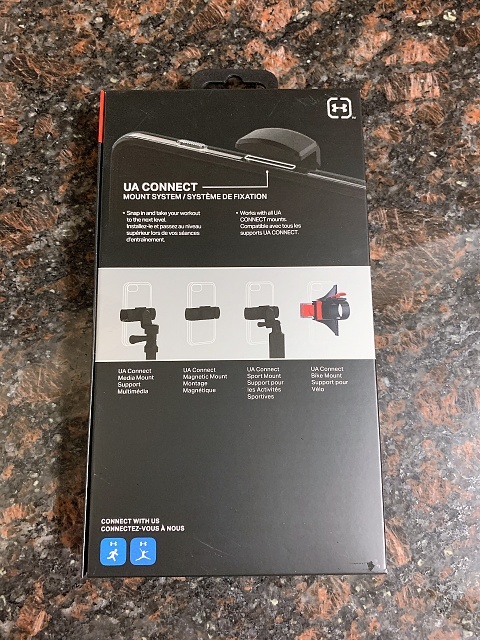 As you can see on the back of the box, the UA Connect system has four (4) different mounts that you can get that will attach to the mount cut-outs on the bumpers of the case, which enables you to tote, mount or carry your phone in a variety of different ways. It’s pretty nifty! 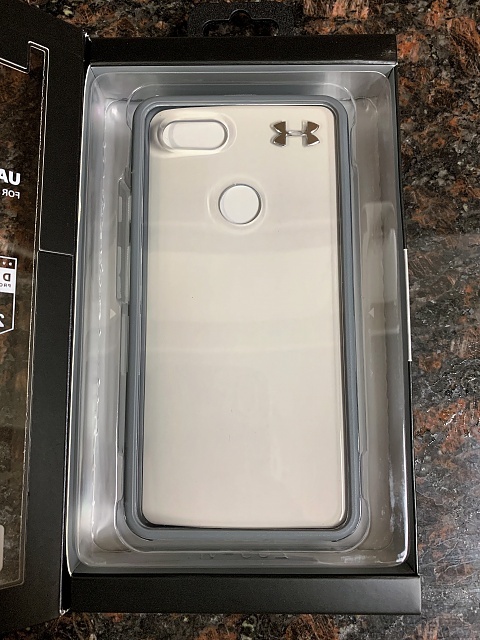 Conclusion: The Under Armour Protect Verge case is a sporty and secure case that I think will appeal to a lot of people. However, the big question that you will have to ask yourself is if it’s worth the hefty price tag ($39.99) – not to mention having to shell out extra money if you want the UA Connect system to go with it. 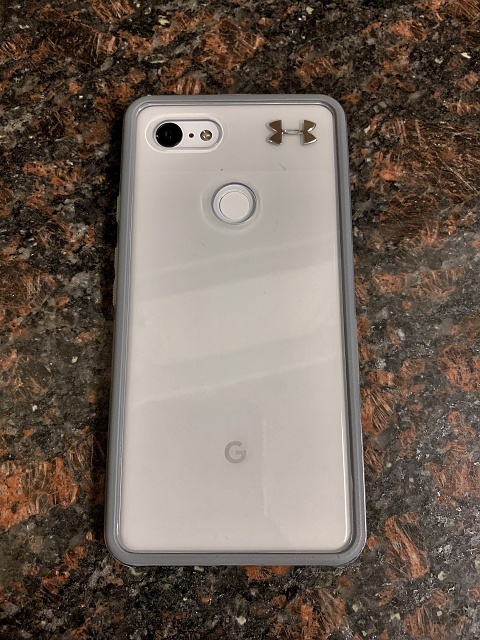 It has a lot of pros and advantages over many cases, but it also carries Under Armour pricing to get one of these cases for your Pixel. The case is definitely still attractive on it’s own, with the sporty design and excellent drop protection in a slim package. However, the upside is limited a bit by the $40 threshold, especially when there are so many other cases that you can get much cheaper. So… if you want to pay to play, I think it’s a great case. If you don’t want to pay $40 for an Under Armour logo and a sporty and secure case, the I’d check out some lesser-priced offerings. 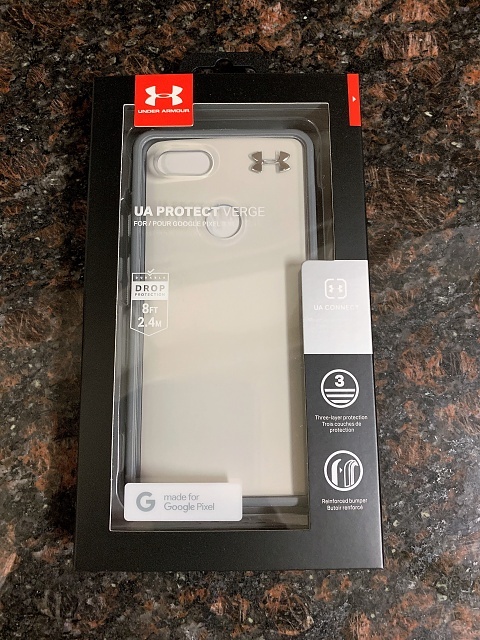 If you’re interested in picking up one of Under Armour’s fancy Protect Verge cases or your Google Pixel 3 or 3XL, you can find it on the Google Store website for $39.99 - https://store.google.com/us/product/...e_pixel_3_case - As always, if you have any questions or comments, please leave them down in the comments section.